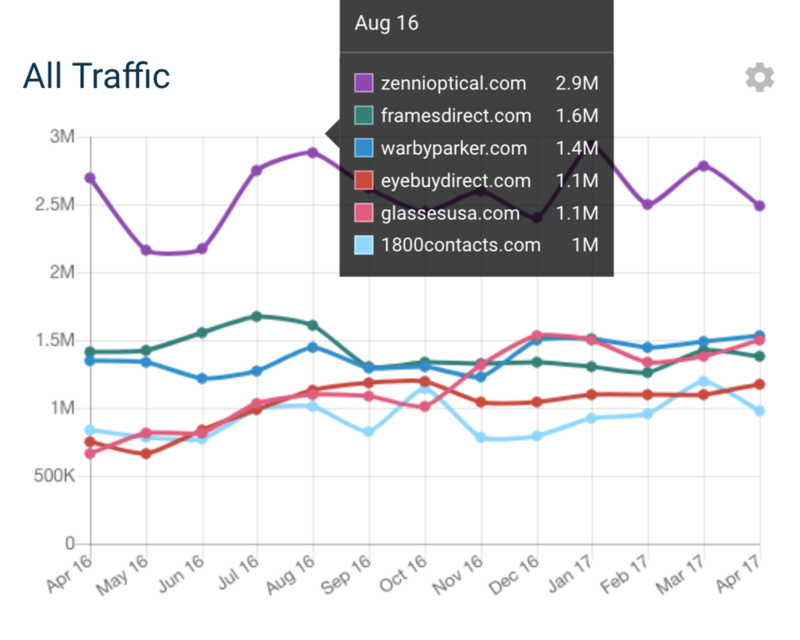 As market leaders in traffic generation, and exclusive owners of the Traffic Cloud™, DemandJump pointed our AI platform at the optical industry to see who’s winning and losing online. In particular we wanted to explore the back-to-school season, which is a peak period for the eyewear industry. And we wanted to capture competitive insight around who was winning and losing from key referral channels. Now that the back-to-school season is approaching, millions of students, teachers, and faculty across the country will shop for new specs – and many of them will turn their attention (and dollars) to online. Who performed best last season during BTS? Was there a clear traffic champ, or was it an even fight across channels? And what did we find? Two words. 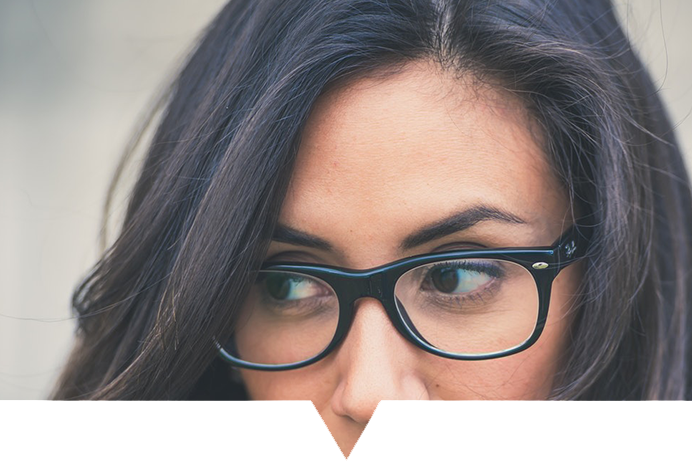 Zenni Optical offers high-quality, affordable glasses and sunglasses online. From a traffic perspective they are a category leader, consistently generating around 3M monthly visitors to their site. This is ~2X greater traffic than the nearest competitor (FramesDirect.com) in the broader competitive set we reviewed. It is worthy to note that Zenni Optical ranked higher than their competitors in virtually every channel, with their most consistent differentiators coming from paid and organic search. However, when we focus exclusively on BTS, a few anomalies really jumped out. During back-to-school 2016, blog traffic for Zenni Optical increased from 222,000 to 635,000. This increase of 186% was the sharpest lift we saw across all channels for any of the major players in our optical competitive set. Using industry average conversion rates and average order size, Zenni’s 635,000 visits in August were worth an incremental, estimated $1.33M. Also, note the overall massive difference in traffic between Zenni Optical and its competitors. 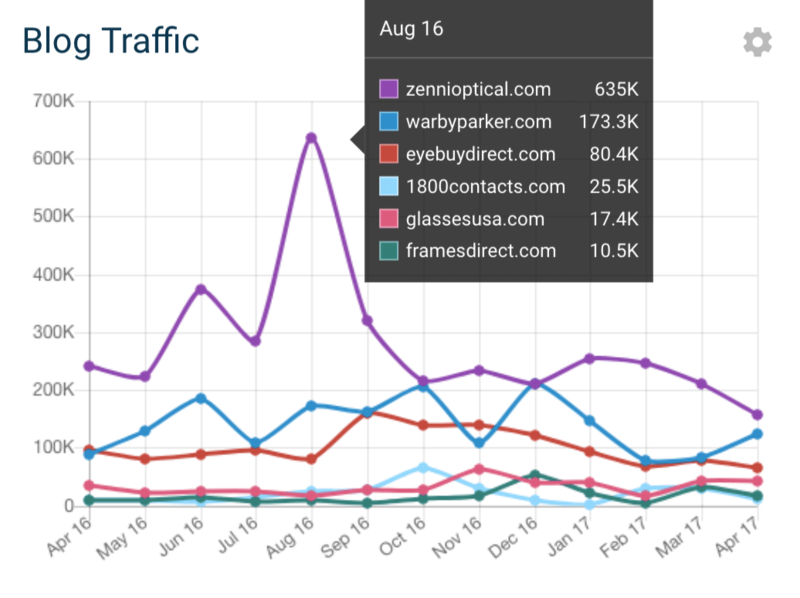 Traffic from blog sources is fairly equal across the competitive set throughout the rest of the year, but Zenni Optical generates 267% more traffic during August compared to its nearest competitor. When benched against FramesDirect.com, Zenni Optical generated +6000% more traffic from blog sites during the same period. It seems like someone on Zenni’s marketing team has 20/20 vision when it comes to leveraging the power of blogs. After picking up on the power of blogs to deliver optical traffic, we wanted to drill down further. DemandJump’s artificial intelligence revealed that a single site was responsible for this channel lift. 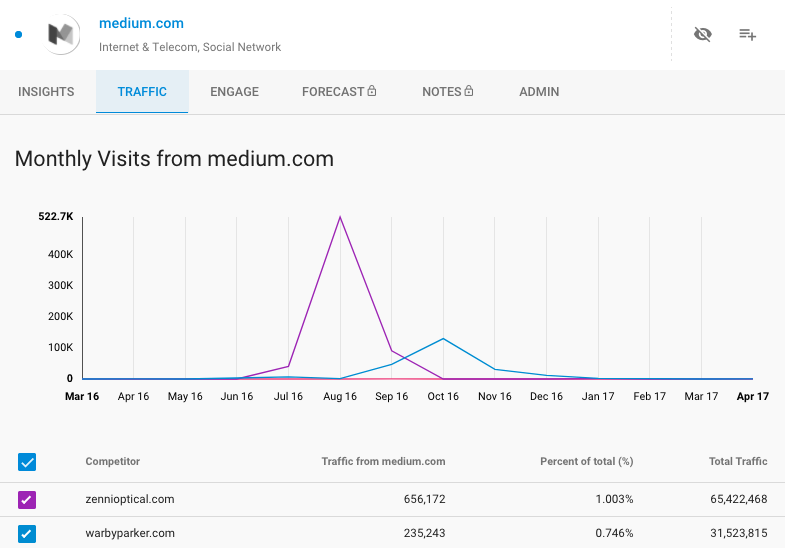 Medium alone drove 520K visits to ZenniOptical.com in the month of August. Not one other competitor in the set earned significant traffic from Medium, or any other single blog, during the same period. Often, we (marketers) tend to focus on channels broadly. But in this case, it was a single source that accounted for huge lift. Don’t downplay an opportunity. One source can separate winners from losers during a popular season like back-to-school. There’s more to digital marketing than Facebook, Twitter, Google, and YouTube. At DemandJump, we constantly find new channels and sources (industry specific, or otherwise) driving insane amounts of traffic through a digital ecosystem. Is advertising on Medium the most innovative thing you’ve heard of lately? Probably not. But did you expect it to drive 500K visitors to Zenni Optical in one month? Doubtful. This was just the beginning of our research. If you’re an optical retailer – or any retailer looking to boost their traffic in a big way – DemandJump might be a fit for you. Schedule a tailored demo with us today.